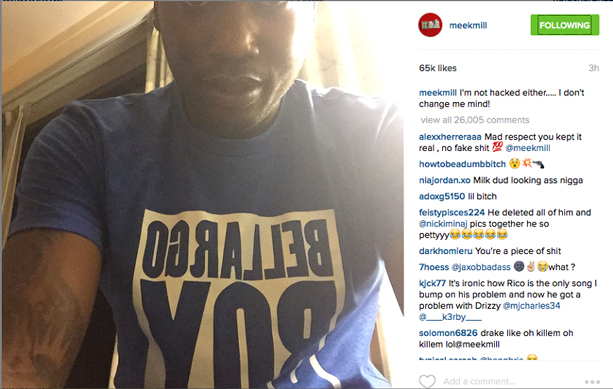 Meek Mill took to Twitter to vent his frustrations on what appeared to be just about everyone in the music industry. First on Meek’s hit list was current girlfriend Nicki Minaj’s ex-fiancé Safaree “SB” Samuels. The MMG rapper called Safaree “gay” after an old dance video of him surfaced the internet. He even implied that SB was a coward for allowing Nicki to publicly flirt with other rappers during the course of their relationship. Meek then made it very clear that Nicki is not the reason for the success of his latest album, Dreams worth More Than Money, which sold a little over 300,000 copies in just 11 days. Drake became the next focal point for this “Dream Chaser’s” Twitter rant after he declared that the Young Money failed to retweet his album. Meek even went on to claim that Drake does not write his own raps and that a man by the name of Quentin Miller is actually the ghostwriter in question! Drake fans everywhere were furious. The “Drake Hive” quickly clapped back with a slew of memes and social media posts. …Not at all. 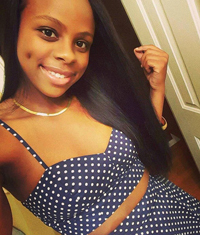 This Philly-native seems to have no regrets about what was said. What was in the water yesterday? 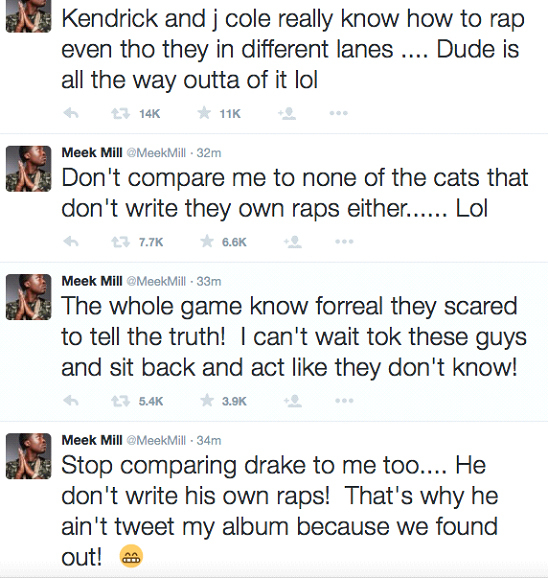 Meek is clearly feeling some type of way…about everyone and everything. Maybe he was just hungry? Hopefully Nicki cooked him some breakfast this morning.